As a tech enthusiast, I always wonder what the future has in store for us. What sort of technology wonders we’re about to witness in upcoming time! How technology is going to empower us, ease our life! Smartphones have indeed become a very indispensable part of our geek life. Every time a new and a better phone launches, it sends shrill of craving in us. We want to know if first, use it first, throw it first. Samsung has really changed the smartphone industry. Being the most prominent and dominant driving force in android phones market, we look forward to Samsung for their next reveal. So, here we are – talking about the upcoming, the next, Galaxy S5. Name and Model number for Galaxy S5? Before talking about anything specific on this phone, like every other geek out there, we’re more curious about its release date. When will it make to market? To discover this, we need to observe past, and as per past, Samsung has taken on yearly gap schedule, followed by major competitors like HTC, Sony, Apple, etc, between their flaships. 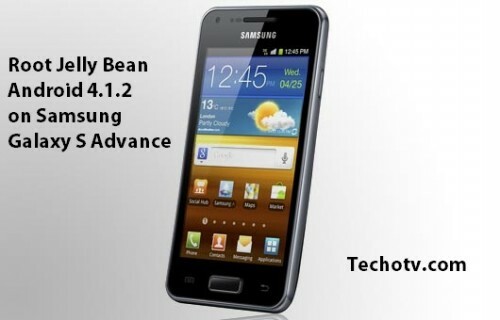 Since, SGS4 was launched in March and released in Market by April. Likewise, we can expect Galaxy S5 to be released either in March or in the beginning of 2nd quarter of 2014. So, don’t be hopeful of 2013 release of the next S5. It’s certainly not going to happen otherwise this might result in discontent and remorse among s4 buyers and Samsung will not hamper its flagship line, which it has cultivated with so much care. Well, of course, the name will remain as Samsung Galaxy S5. The naming convention used by Samsung is popular, easy and effective in marketing, self-succeeding. It’s going to be the 5th in series and not the 10th, so we can safely assume 100 percent certainty to this name for the next flagship android smartphone of Samsung. Talking about model number, this is where things get complicated. Galaxy S has GT-I900, S2 has GT-I9100, S3 has GT-I9300 and S4 has GT-I9500. You see, the model numbers are not following unique pattern of succession. This creates confusion as SGS5 might have I9600 or I9700 as model number. BUT I9600 has been earlier spotted in benchmarks (January, 2013) and so we’re highly negative of this model number for s5. Moreover, from Galaxy S2, the model numbers seem to follow unique pattern i.e escaping the next obvious hundredths in model name. 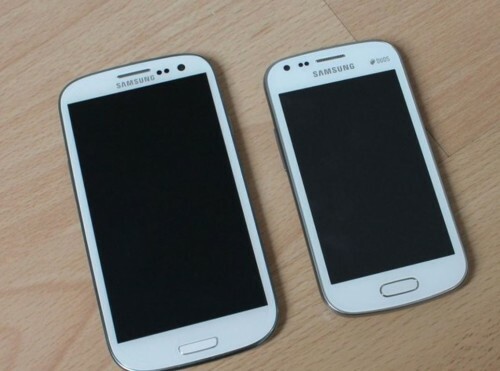 So, we’re highly positive of GT-I9700 as the model name of the next Galaxy S5 phone. HTC One has received best smartphone design award by many of the online publications and reviewers. It’s gorgeous. Samsung executives and employees, do follow tech blogs and whenever something is said about their closest competitor, it sparks jealous interest in them. So, now users might think that Samsung has learnt their lessons. Well, one can hope so, but the reality may be otherwise. Many users of GS4 complain of striking similarity with other galaxy phones and from the look of the smartphone, one may not be easily able to differentiate whether the phone is s4 or some other galaxy phone. If people are spending their hard-earned bucks on top smartphone, they do want a little show-off, which Samsung, regrettably fails to deliver with its cheap and no-so-premium or not-so-unique design. This has been one of the foremost concern of galaxy phone buyers. Samsung needs to address this. We understand Samsung’s reasons why they don’t use unibody aluminum-like design for their flagship, but we’re not satisfied with the current design language followed by their flagship. We want more and we expect that Samsung has learnt at least something from HTC, if not the whole design language. And so, we expect more premium design and build quality in S4, but don’t expect full aluminum unibody design yet. You may expect metals here and there in s5, but not on the whole of it. We’ve just seen Galaxy S4 in market. It is seen more as incremental update to s3, rather than a complete new or revolutionary upgrade. Much more is improved in the software department, rather than hardware, which is unusual as we expect surprises in hardware segment, especially from Samsung; we expect surprises in software section usually from Apple. Many of the users are disappointed from SGS4 for one reasons or the other. Anyways, we’d like to see shortcomings of GS4 fixed in GS5. At this time, not much info is available about GS5. How can that be? In fact, for Samsung, the main focus would be on Galaxy Note 3, which is likely to be released by the end of 2nd quarter or begining of 3rd quarter, this year. Usually, most rumors turn false. Some rumors go widespread, not because they seem authentic, rather because they seem pleasing to users. Do you remember rumors of unbreakable and flexible display in Galaxy S4? Well, this rumor really catched fast and in wild. Most of us knew, somewhere in our heart, that these rumors aren’t true, but we wanted to believe it. Samsung Youm phone with flexible display has been showcased at CES 2013, with Samsung promising it to be part of their future phones, but no release schedule or expected deadline info given. It didn’t make its break on GS4, and therefore we’ve raised our eyebrows – whether it would debut on GS5? At first, it looks like 50:50 chance, but when you really ponder over this, its technical feasibility, you’ll more likely feel negative about this. Yeah, Flexible, unbreakable display, a display which can be folder, is not going to debut on Galaxy S5. Don’t get your hopes high at this time. The technology is not yet ready for prime time! Okay, no flexible display! Agreed! But what about Screen resolution? 2013 flagships have been the year of 1080p displays and the most common screen size for flagship smartphones is 5-inches (HTC One is the exception, though). 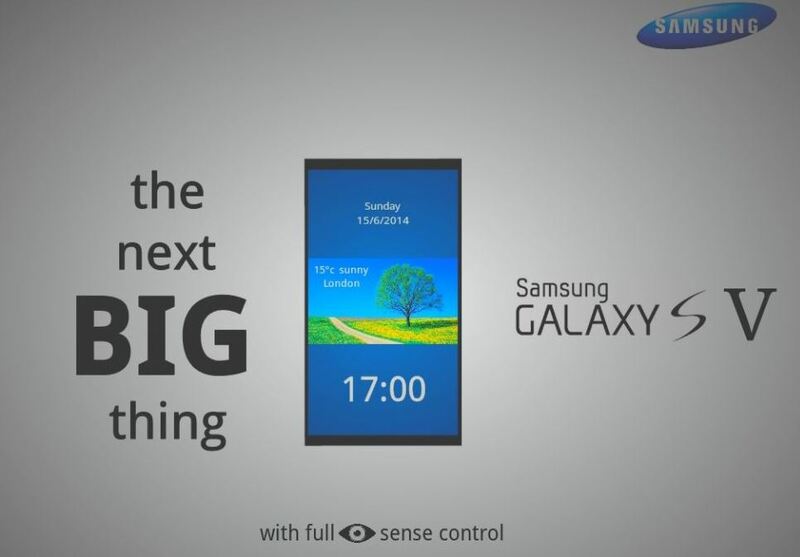 So, are we looking at bigger display in 2014? Are we going to have higher resolution on smartphones in 2014? The answer to both the questions seem NO. People love large-screen phones, but for most of them, 5-inches is enough. Based on polls and research, most of the common users are not going to appreciate phones of greater screen size. They don’t want anything bigger than this, unless of course, Galaxy S5 comes with bigger screen size in the same physical dimension as S4. So, expect Galaxy S5 to be of 5-inch screen size or 5.2 or 5.3 if Samsung manages to integrate this little incremental screen in about the same dimension as of GS4. The screen resolution of 1920*1080 pixels for 5-inches devices are more than enough, and really there is no further need to pack more pixels on this display size. So, we’re not going to get higher resolution on smartphones as of now, but we might see a new type of display with more battery-saving features, greater clarity, contrast, colors, brightness. 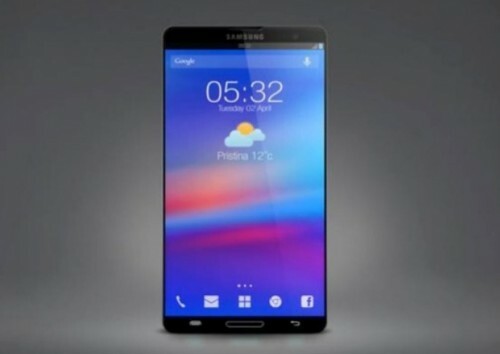 In fact, we highly expect new and improved display technology in Galaxy S5, which should look better than Galaxy S4 in all respects. Samsung has really the best technology to make the best display and we expect them to come with something new for S5’s display. 2012 has been the year of quad-cores and so is 2013, but what about 2014? Of course, the processor speed and technology has changed from 2012 to 2013, yet we can’t really say there has been much changes. The GPU section is another aspect where improvement has been considerably made. 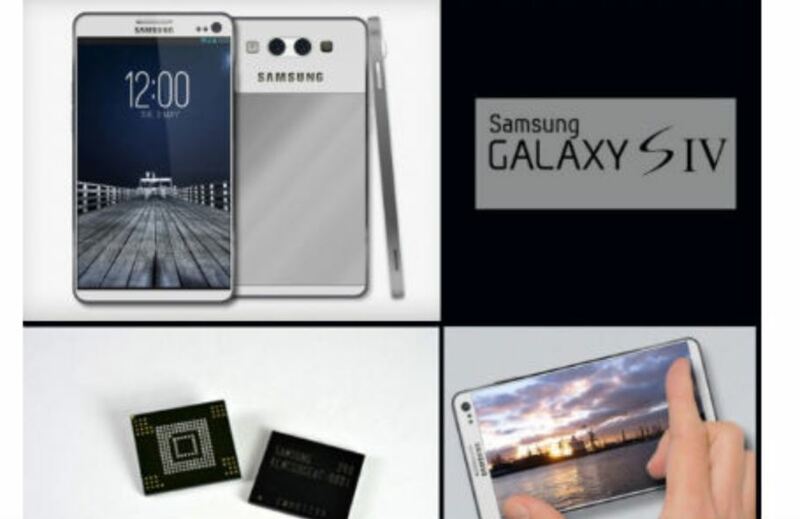 So, can we say for a real octa-core processor in Galaxy S5? In S4, 2 quad-core processors are there, that have been terms as octa-core, but in reality, only one of the two remain active at a time so it’s basically quad-core device. Another question is, do we really need real octa-core processor in smartphones? Well, at this stage, we can’t really say about octa-core processors in SGS5, but Samsung’s exynos team is certainly working on for a more improved eynos chipset for the next SGS5. Qualcomm has already built Snapdragon 800, which will soon be seen on upcoming devices in near future, and is supposed to change the game altogether. Keeping this info in mind and the release schedule of S5, we can expect a much more powerful chipset for Galaxy S5, which would be much more power-efficient and powerful than the current generation of processors. We’ve heard rumors of 4GB of RAM in SGS4. We’re negative about this rumor. As per our expectation and speculation, we can say SGS4 might have RAM of 3GB at-most, not higher. One thing, we’ve noticed for sure and that is, all the flagship phones from different manufacturers resemble a lot in basic specifications. 2012 has been the year of fast 8mp cameras. 2013 has been the year of 13megapixel cameras. Likewise, by the start of next of year, we’ll have definite clue on exact megapixels count of Galaxy S5 camera. Tracking the current rumors and leaked info on upcoming phones from Sony and possible improvement in camera tech, we do expect Galaxy S5 camera to be of 16mp. If our speculation of 16mp camera turns out to be wrong, expect advanced improvement in GS5 camera’s capabilities especially lowlight photography and in terms of OIS. The front camera will be a better camera and of more megapixels and wider lens to capture more in front of it. Some of Samsung fans are even vying for a 3D camera in S5. Well, that could be a possibility if 3D display is the next in line on smartphones of 2014. Let’s start with OS. The obvious answer is Android 5.0 Key Lime Pie. Google didn’t announce the next major version of Android at Google I/O. Instead, as per leaked information, Google will be releasing Android 4.3 soon. So, we expect Android 5 or android 5.x.x as the OS on SGS5 with Touchwhiz UI on top of it. Samsung really brought a number of features on SGS4. In fact, the launch event of s4 was all focused on demnostration of those appealing software features and tweaks. The story will be improved for S5. On SGS5, Samsung will improve, enhance and add to its plethora of software features and services to make the handset more attractive and appealing to those new users, who just get excited by the number of features, even if they use them or not. This has been one of the severe complaints of android phones. None of them give you promisingly better battery backup. Since smartphones have become indispensable to us, we use it more and more as it can do more and more, but all users dislike one thing – to plug in their smartphones to power outlet daily. We hate this. We want a phone which can last 2 or 3 days with reasonably good usage. Battery is one aspect where most phone manufactures have not shown any recognizable achievement or remarkable improvement. With increasing power and features of smartphones, the compromise of battery really limits us. We don’t just want Galaxy S5 to be fitted with a higher capacity battery, we want it to be very much optimized so that it can last more than a day with heavy usage, otherwise one has to really take on a side – features vs battery. Reports have surface online over possibility of fingerprint scanner and phone unlock security based on the same. 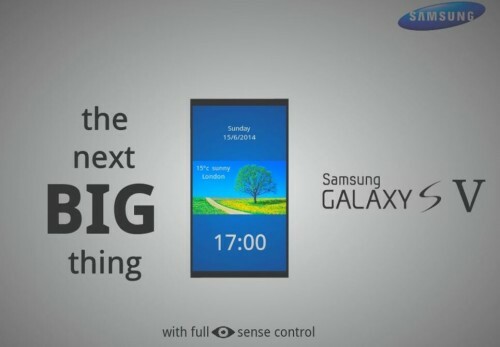 This feature is likely to debut with Galaxy Note 3 and will most probably be also featured on Galaxy S5. Samsung Galaxy S4 is not waterproof phone. Many people like waterproof capabilities in their phones. Sony has sold its Xperia Z with waterproof capabilities as one of its major features. Keeping the growing popularity of waterproof phones, Samsung is working on Galaxy S4 Active smartphone, which is supposed to be rugged and waterproof, although its specifications have been rumored to be lower than that of S4’s. Whatever be it, Samsung doesn’t want to make their phone packed from all aspects with non-removable battery and no memory card slot. So, Galaxy S5 will not be waterproof, but a variant of Galaxy S5 will be released with waterproof capabilities, because Samsung is such a company that doesn’t want to loose on any front or any niche of phone market. What do you expect from Galaxy S5? Share your views, opinions, guesses, expectations in comments. And don’t forget to bookmark this article, share it, like it. We’ll keep updating this article with more info, leaks, news, rumors – whatever that concerns Galaxy S5. Next PostSamsung Galaxy Mega 5.8, 6.3 Price in India – Overpriced? I like my S4 a lot. I was an IPhone user until they decided not to want to change it much since 2007. I would like to see a button on the outside of the phone to take pictures easier and faster than going to the icon. More futuristic looking icons too. galaxy s5 is the best phone, I love it so much . waow amazing phn love to see you S5…………..